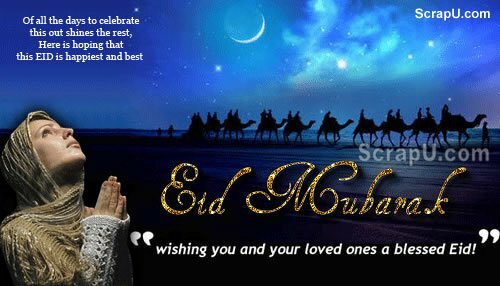 Eid ul Fitr Mubarak ho. Eid ul Fitr hase come, bring all the joy and happiness with it. Everyone is waiting for Moon to appear on the sky. And then the celebration for Eid will begin. Happy Eid.